Ranbir's last release ‘Sanju’ is the highest grosser of his career so far, the film grossed over Rs. 300 crore and Alia established herself as one of the most bankable actors with her last outing ‘Raazi’, which crossed Rs 100 crore. 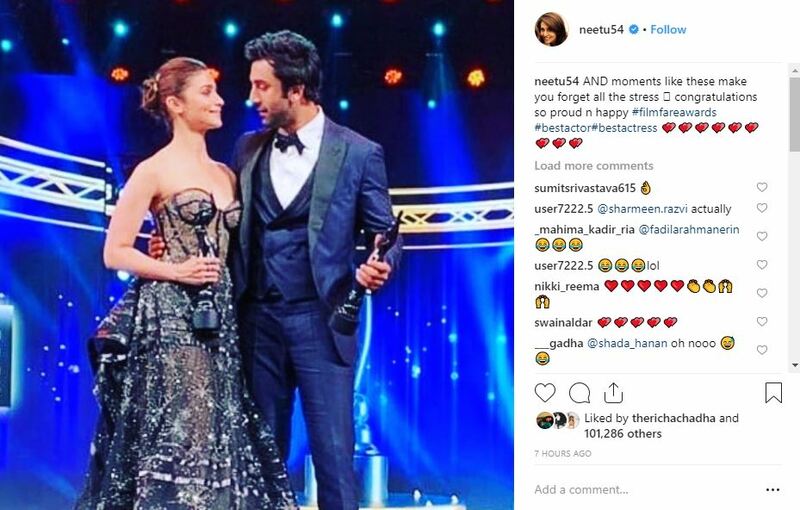 Ranbir won the Best Actor award for his performance in ‘Sanju’ while Alia bagged the Best Actress trophy for her work in ‘Raazi’, and Ranbir’s mother Neetu Kapoor couldn't be more proud. Showering the duo with love, she posted a beautiful picture of her son with Alia from last night’s Filmfare Awards. In the photo, the two can be seen looking at each other while on stage with their respective trophies. “AND moments like these make you forget all the stress congratulations so proud n happy #filmfareawards #bestactor #bestactress,” she wrote alongside the picture. 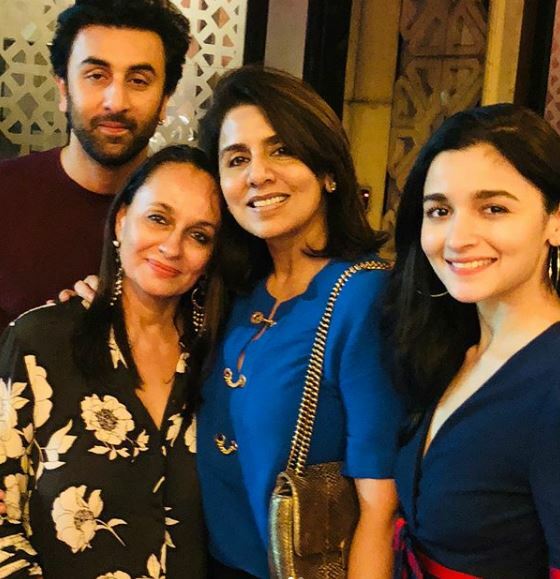 In fact, Alia's social media interactions with Neetu and Ranbir’s sister Riddhima Kapoor Sahni reveals a lot about the easy rapport she shares with the Kapoor clan. Alia also keeps posting several pictures of her on Instagram clicked by the 'Barfi' actor. The duo has also been making public appearances together at various events. On the work front, the two will share the screen space for the first time in 'Brahmastra', which is scheduled to release on August 15, 2019. 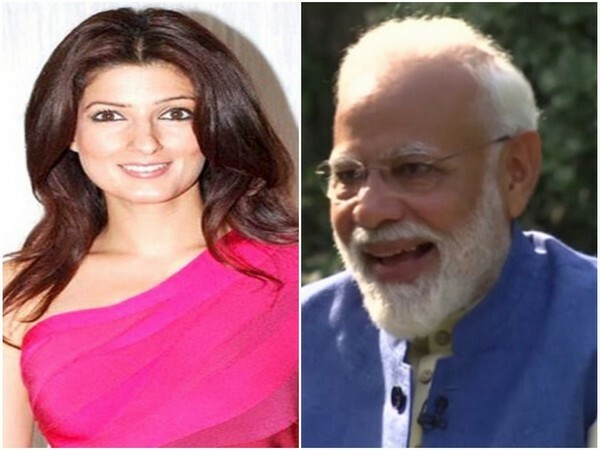 The star cast also includes Amitabh Bachchan, Mouni Roy, and Tollywood star Nagarjuna.